Zhu Xi’s lyrical and evocative lines were penned over 800 years ago. The cuttings referred to are of the Chinese fir (Cunninghamia lanceolata [Lamb.] Hook. ), China’s major timber producing conifer. 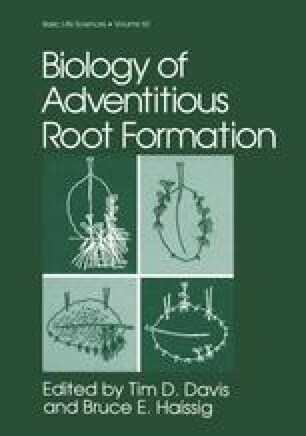 A scrutiny of ancient Chinese literature led Li (1992a) to conclude that this species has been propagated by cuttings in China for over 1,000 years. Interestingly, the propagation techniques used today in China have changed little from those of ancient times.